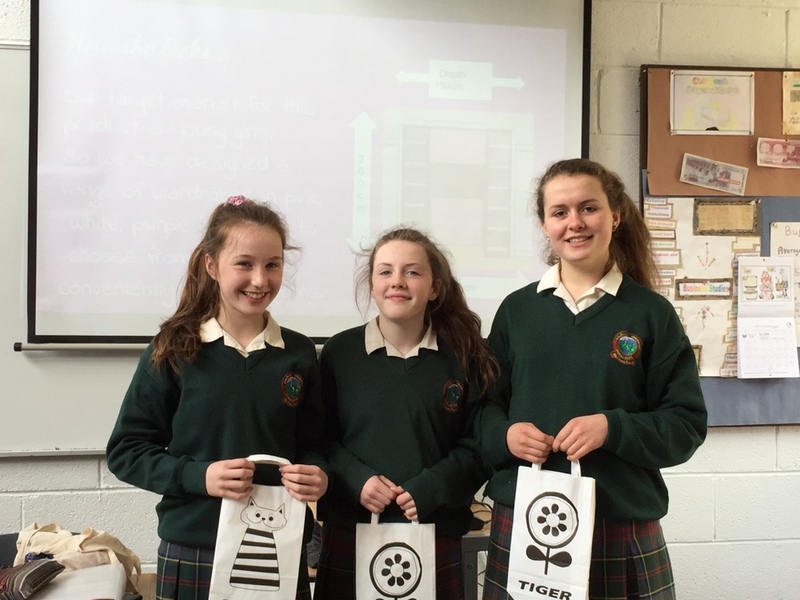 Eimear Harrington, Laura Doyle and Ellen Devine were given special recognition today for their marketing project as part of Mr Kirwan’s first year business studies class. The students had to work in groups to invent a new product and prepare a presentation for the class, incorporating all aspects of their marketing strategy. The three girls went above and beyond their brief, even filming a video advertisement for their imaginary product, ‘Wendy’s Wardrobe’. The future looks bright for these budding entrepreneurs!